Driver Doctor is a popular driver downoad and Updater software helping you update drivers in a fast and easy way. Compatible with Windows XP, Vista, 7, 8, 8,1 and the latest Windows 10, both the 32-bit version and 64-bit version and supported by Huge Driver Database reached 8,100.000. Driver Doctor can automatically scan out dated and missing drivers, download and install them at a high speed. This best Driver Updater is very easy to use, with the Highly-intuitive interface. Using it to keep all programs running smoothly and let your computer run at a peak performance. 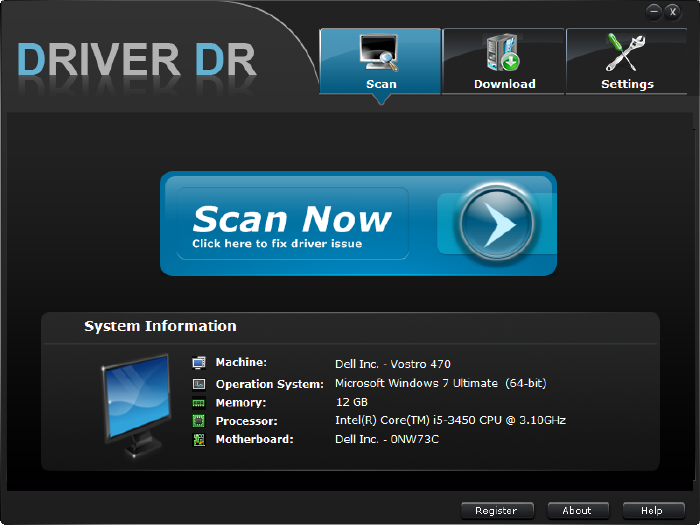 And you can also find all the HP, Lenovo, Dell, ASUS, Acer, Logitech, etc drivers from driverdr.com. Driver Doctor can helps you to find and download all the drivers in an easy way, and then update them to the latest version. You can also find the Dell, HP, Lenovo, Acer, ASUS, Logitech, Razer, Brother, Xerox, Intel, Microsoft, Toshiba, Sony, Canon, and other manufacturers drivers for the Windows XP, Vista, 7, 8, 8,1 and 10. So just download and update your drivers now.